#NASAInKapsabet : NASA leaders launched Rift Valley blueprint that will benefit mostly Farmers and Pastoralists. - Bana Kenya News, Real African Network Tubanane. Home featured News #NASAInKapsabet : NASA leaders launched Rift Valley blueprint that will benefit mostly Farmers and Pastoralists. #NASAInKapsabet : NASA leaders launched Rift Valley blueprint that will benefit mostly Farmers and Pastoralists. NASA leaders have launched a Rift Valley blueprint for what will deliver in the region. 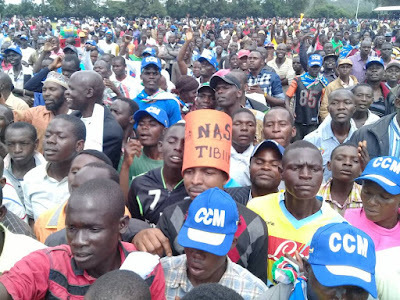 The people of Rift Valley also raised up their concerns about the Government that they have been sidelined, farmers have been struggling to make ends meet after 50 years of independence. Exploitation of Dairy Farmers and inability to revive KCC due to conflict of interest in Rift Valley will be a major concern as the private companies taken monopoly. Subsidizing quality Maize seed and fertilizer for food security and Revamping of AFC and ADC to its life. People in the area during harvest time are not paid according to the international standard. The Opposition leaders said that the first thing after harvest is to buy their produce at a good price and subsidize it to the Kenyans. In Kapsabet, the NASA-Pentagon has unleashed South/North Rift Economic Development plan that will be implemented fully when they take over after August. Rift Valley farmers have been taken for granted by Jubilee, The governors and the NASA government will cater for their needs in each county and region. The Rift Valley economic blueprint will enable the government to follow each region with its blueprint to make all regions equally. NASA government will empower every part of Kenya as per the economic belt of every region. "All factories and companies will be revived to make sure that there is enough employment to our youths. People will make sure that the government follows the blueprints through their respective Governor" Said Raila Odinga. "We will have regional projects and county projects. For example, the people of the Central region have their cash crops so NASA government will revive and build companies for those crops. Enough storage areas and enough Government food for an emergency. The emergency food will be stored in respective regions." he added.